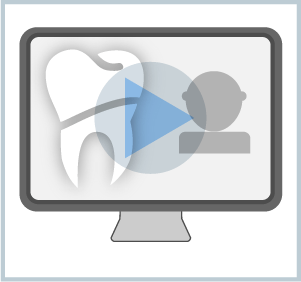 This presentation illustrates how you can be more efficient in the way your team performs operative dentistry. employ dynamic co-operation between dentist and nurse to enhance job satisfaction. Martyn qualified in 1971 at UCH in London and went on to develop a large dental practice in the midlands of the UK. This practice has always been evolving and now comprises of six dentists, three hygienists and many support staff. Martyn has always had an interest in teaching and has become a well-respected international lecturer in both clinical and team dentistry. His style is relaxed, informative, honest, enthusiastic and interactive allowing real participation from delegates at courses. He has collaborated with others in the making of many dental videos, written regularly for magazine publications in the UK on differing dental subjects, helped to set up the Teamwork initiative with the BDA and demonstrated 4-Handed dentistry at International conferences and trade exhibitions. Martyn has continued to do general operative dentistry, including implant work, and still retains his enthusiasm for the profession. For the last 25 years he has also been lecturing, running courses on the ergonomic design of surgeries and, along with his nurse Sally Chadwick, developed the use of very specific 4-Handed techniques for dentists and their assistants. Sally Chadwick started her dental career at the tender young age of 16 working with Martyn Amsel in his large practice in Banbury. In 1996 Sally and Martyn filmed the Close Support Dentistry video with collaboration from Ellis Paul. With amazing success Martyn and Sally began to teach their 4 handed technique to dentists and their assistants and continue to evolve and constantly update this course. Sally has also penned many articles for The Dentist magazine on a variety of subjects aimed at dental nurses. Nowadays she runs 4 handed courses with Martyn as workshops along with visiting practices and helping dental teams become more efficient while adding more fun and interest to their lives. She spends 2 days working with Martyn where they enjoy challenges reconstructing smiles with a combination of Implants, crown and bridgework and keeping up to date with all the latest technologies on offer. After 29 years Sally still enjoys getting to work and looking after her patients, chatting with her colleagues and nagging Martyn!